So we’ve written a post about the top 5 places that underwhelmed us, then we wrote about the top 5 unexpected places and now is our top 5 that was everything plus more than we expected. We should also qualify that we have had lots of “overwhelming” moments on our travel but we narrowed it down to our top 5 for this post – which wasn’t easy. The place where Charles Darwin came up with his evolution theory. The place where there is abundance and diversity. The place where animals and humans can swim together and walk together. The place we would recommend to everyone in a heartbeat! In the centre of our home country lies the monolith that is ever so famous. It wasn’t only seeing Uluru itself that made this the most jaw-dropping memory we have in Australia, but it was the entire experience itself; seeing Uluru during the day, seeing Uluru changing colours, watching the sunset, being under the stars in the red centre, understanding more about the Indigenous Australian culture and beliefs. 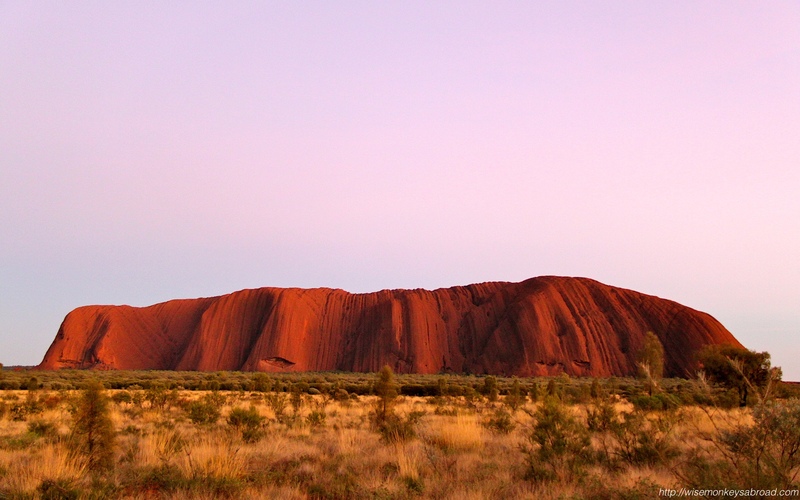 We published a photo essay recently on Uluru if you want to see more photos. Being the first National Park in the world and with 9000 square kilometres to explore, one cannot really not pass up the opportunity to visit here. We visited in October and we had snow – lots of it. And it only made the scenery so romantically magical. 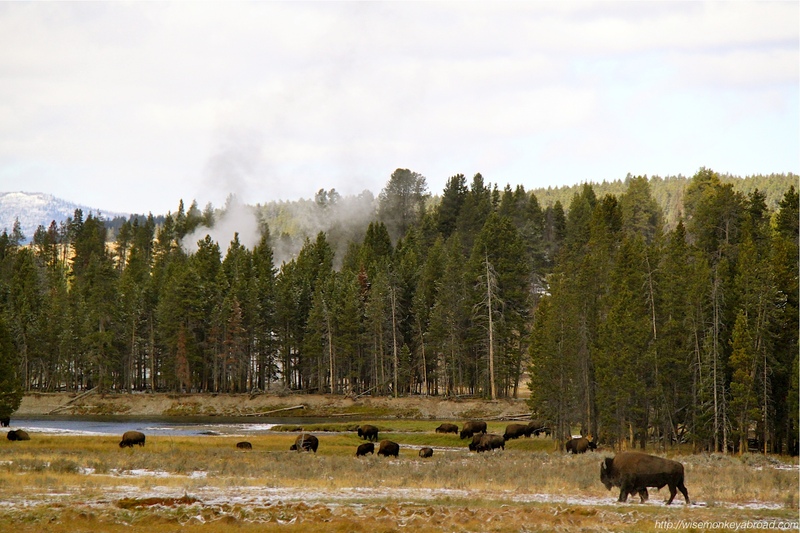 We were able to catch glimpses of different wildlife, we visited Ol’ Faithful Geyser and we were mesmerised by the sweeping landscapes and colours. 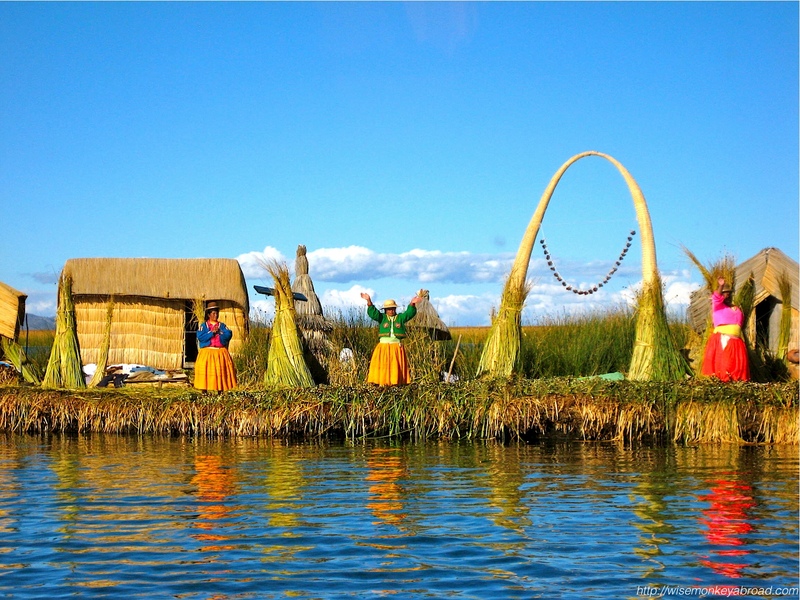 Floating reed islands? The minute we heard about these many years ago, we knew we had to visit it one day. And when we finally did, we fell in love. It didn’t matter that we were 3000+ metres above sea level and that every few steps we felt out of breath. Because as we stepped on the reeds and realised that we were actually walking on a floating island, the moment was ingrained in our memories forever. 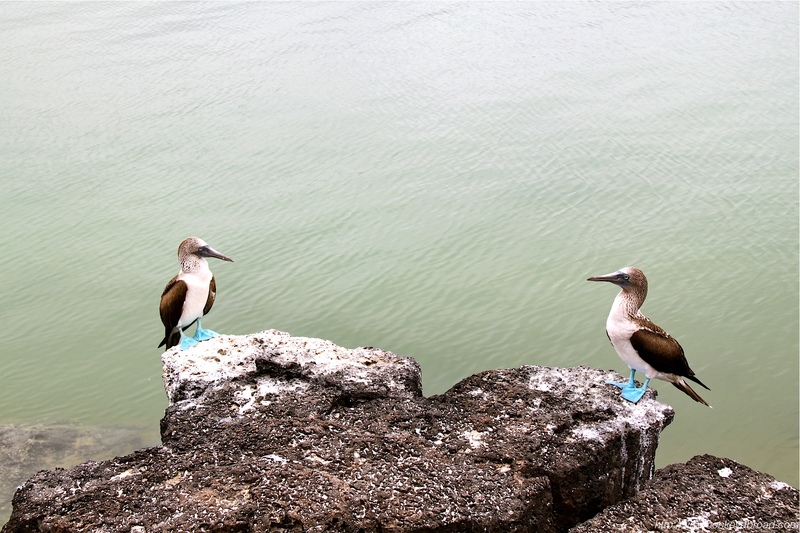 Looking around us, we saw the local residents waving to us in their colourful sweaters – welcoming us to their home. On this planet, there are plenty of unique places to see and this is one of them. 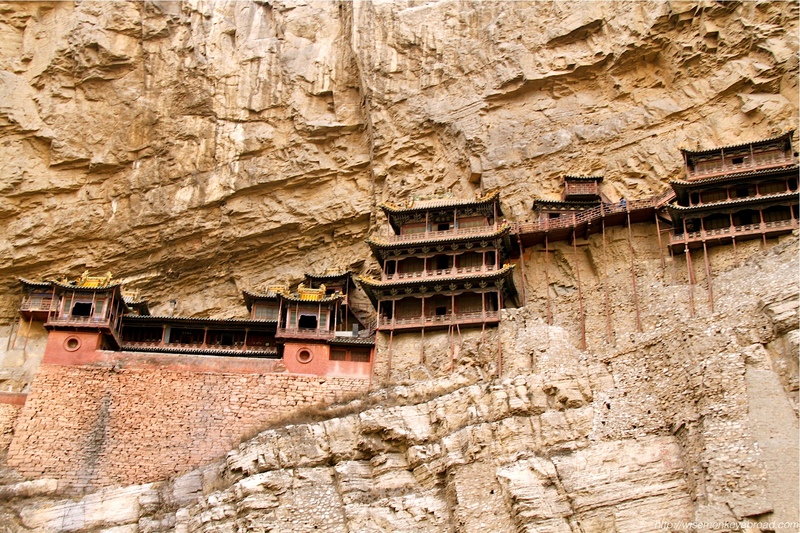 In the side of the cliff, 50 metres above the ground, there stands the monastery/temple that conjures up images of ancient China immediately. This is the first place that we have visited in the world that brought tears to our eyes. We were so overwhelmed with emotion, peering upwards at it that we did pinch ourselves to see that we were really awake. Then walking through it was another thing altogether – held by what look like only wooden logs – we prayed that it was still architecturally sound. We held our breath when we saw it and we held our breath when we walked through it. There you have it – our TOP 5 places that met and exceeded our expectations. Any surprises? There were a few others that were close contenders such as Machu Picchu, Neuschwanstein Castle, Carcassonne, New York City…… plus many more! Where have you been that you had high expectations of and it delivered? This entry was posted in Australia, China, Galapagos Islands, General Travel Musings, Northern Territory, Peru, UNESCO, USA and tagged Australia, China, Ecuador, expectations, Galapagos Islands, Hanging Monastery, Lake Titicaca, nature, Peru, Travel, Uluru, USA, Wildlife, Yellowstone National Park. 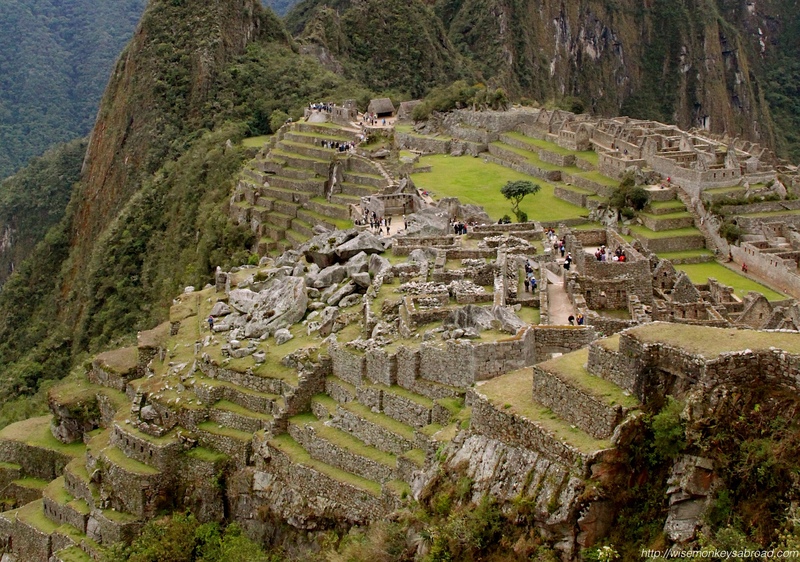 As with most ancient civilisation architecture, Machu Picchu looks cleverly planned and constructed. And there are plenty of angles here! When we see these ancient structures, we can’t help but wonder of the skills and talents of the communities and also the precision at which they built these places. It always fascinates us! Feel free to leave us any comments. This entry was posted in Peru, South America, Weekly Photo Challenges and tagged ancient civilisation, ancient civilisations, ancient structures, angular, Daily Post, Machu Picchu, Peru, Photography, Travel, Weekly Photo Challenge. 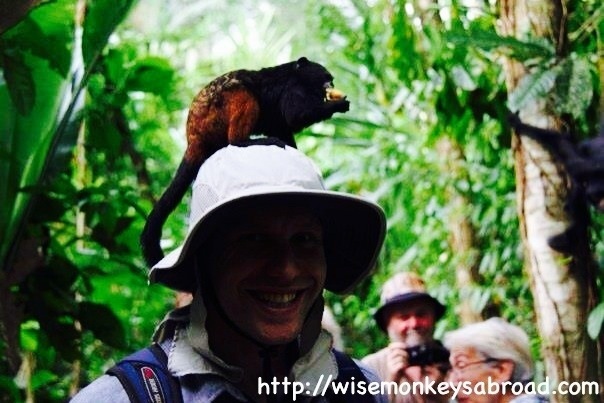 We were on Monkey Island in the Amazon, when a monkey jumped ON TOP of David’s head. This entry was posted in Peru, Weekly Photo Challenges and tagged Amazon, monkey, Monkey Island, Peru, Photography, Travel, Weekly Photo Challenge. 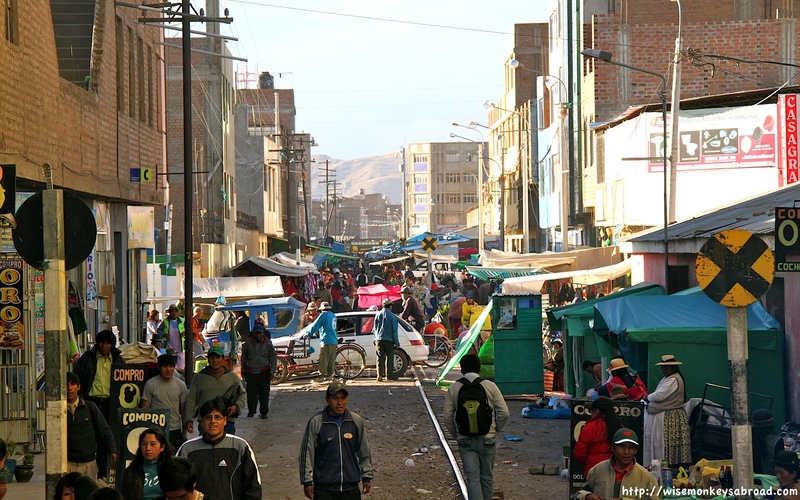 Taken on the back of the Andean Explorer as we pass through the towns of Peru. Imagining the sounds of the street markets by the train tracks? Witness the hustle bustle? Hope you like our entry into the The Daily Post photo challenge this week. This entry was posted in Peru, South America, Weekly Photo Challenges and tagged Andean Explorer, Peru, Photography, street life, train travel, Weekly Photo Challenge.